With effect from Jan 1, 2015, all applicants from Colombia and Ecuador applying for Visa and Consular Services are required to indicate ZIP Code along with their postal address for facilitate easy dispatch of serviced documents. 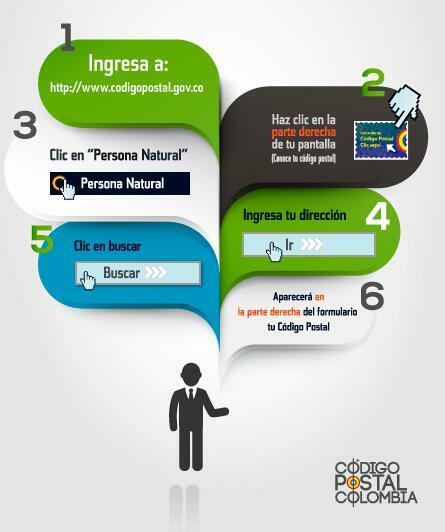 Information about the ZIP Codes: in Colombia is available here or visit http://codigopostal.gov.co/. In Ecuador at www.codigopostal.gob.ec. The e-TV facility, launched by the Government of India on 27 November 2014 has been extended to Colombian and Ecuadorian nationals. Click here for more information. Please go through all the requirements for type of visa you intend to apply for. The process can take from 3 to 5 working days for Colombians/Ecuadorians. If you hold a passport from a different nationality process can take from 5 to 8 working days. Please apply for the right type of visa only and furnish all the essential documents. Regular Visa Application can be found in the link. Clickhere. Please upload digital photo, Application Form will not be accepted unless the photo is uploaded. *Once you print the Application Form changes cannot be done, in that case you would have to fill a new Application. Sign the application form below the photo and in the spaces marked "Signature". Non-submission of complete documents is likely to result in rejection of visa/ delay in Issue of Visa. Thetype, the duration and number of entries of the Visa are subject to discretion of the Consul. Purchase of air tickets does not guarantee issue of visa. Fees once deposited in Embassy’s account will not be refunded in any circumstances. The Applicant’s passport must have at least four blank pages to stamp the visa, and a minimum validity of one year. The Embassy of India will not be responsible for the loss of the ticket in the event that the applicant confirmed his trip without having obtained his visa. People traveling to India must present their International Yellow Fever Vaccination Certificate irrespective of the age. This certificate can be current or expired. Not having this requirement exposes the Applicant to be returned or quarantined in a health center. The Embassy of India will not be responsible in case some person is detained by the Migratory Authorities in regard of the Yellow Fever Vaccination requirement. To verify the value of the type of visa and nationality you can find the special categories at the end of this page, if your nationality is Colombian/Ecuadorian you can find them here. • If you have dual citizenship check if you have a different rate. • The applicant is free to choose the passport with which he/she wishes to apply. Please provide a photocopy of the passport with which you are NOT going to apply. • If you are from the United Kingdom, Russia, Ukraine, the United States, Nigeria, Singapore, Japan or Pakistan, at the end of this page you will find a table of specific values. • For Diplomatic visas or Consular Corps Officers attach the Note Verbal and go directly to the counter of the Embassy. Keep in mind that you cannot mix the purposes of visiting India. Both the Reference in India and the Reference in Colombia/Ecuador should show the contact name, full address, city and telephone number. For minors, the Application Form must be signed on the first and second pages by the Applicant; on the second page it must be signed by both parents. Additionally, they must attach a Letter of Authorization for the issuance of the visa signed by both parents and a copy of the Migration permit. Both the photo uploaded to the system and the photo pasted on the Application Form must be 5x5cm white background. Photos taken with a cell phone are not accepted. Personal checks will not be accepted. Do not send money in envelopes or International checks. The visa fee does not include bank commission charges and/or courier charges. These are to borne by the applicant in addition to the prescribed visa fee. “Please note that the validity of visa starts from the date of issue and not from the date of travel". This aspect may, therefore, be kept in mind while applying for visa and subsequent purchase of air tickets. Application once submitted to the Embassy and fees paid cannot be withdrawn/ refunded even if applicant cancels his plans to visit India or is denied visa by the Embassy. Please see the following link for the holidays to be observed by the Embassy of India, Bogotá: http://embajadaindia.org/es/embajada/feriados.